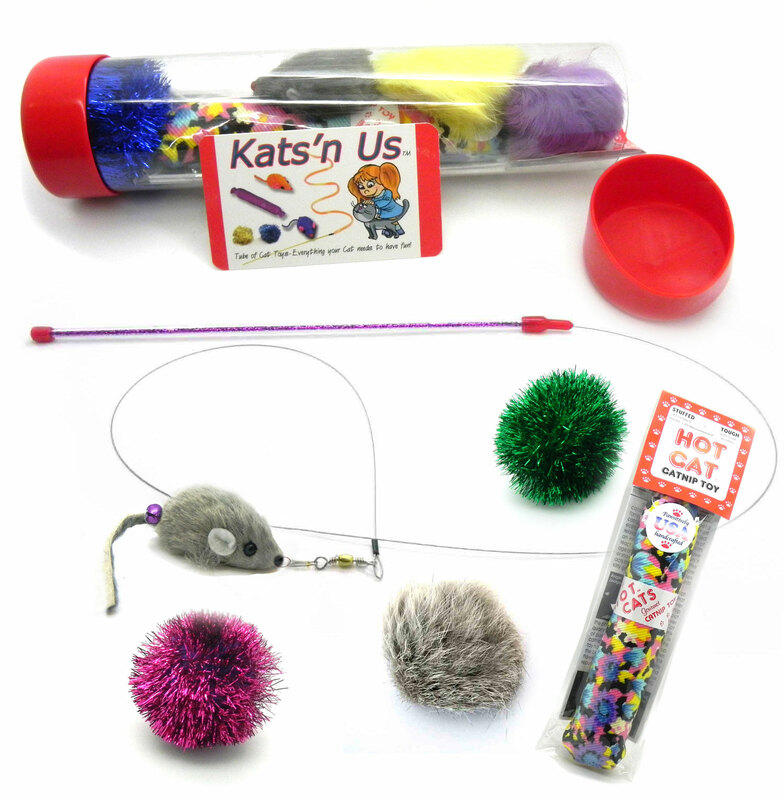 Kats'n Us Mouse Teaser Wand and Tube of Cat Toys! A plastic tube filled with an assortment of toys cats of all shapes and stripes will love! 12" Acrylic Wand with Real Rabbit Fur mouse attached with a 36" Wire fishing line, Tuff Kitty Puff® Sparkle Balls and Fur Pom Pom balls measure about 1.5" in diameter. Tissue Paper is covered with Paw Prints perfect gift for new Kittens or Adult Cats in need of activity, entertainment, stimulation or exercise. Tube itself can be a toy! Put a ball in and watch!